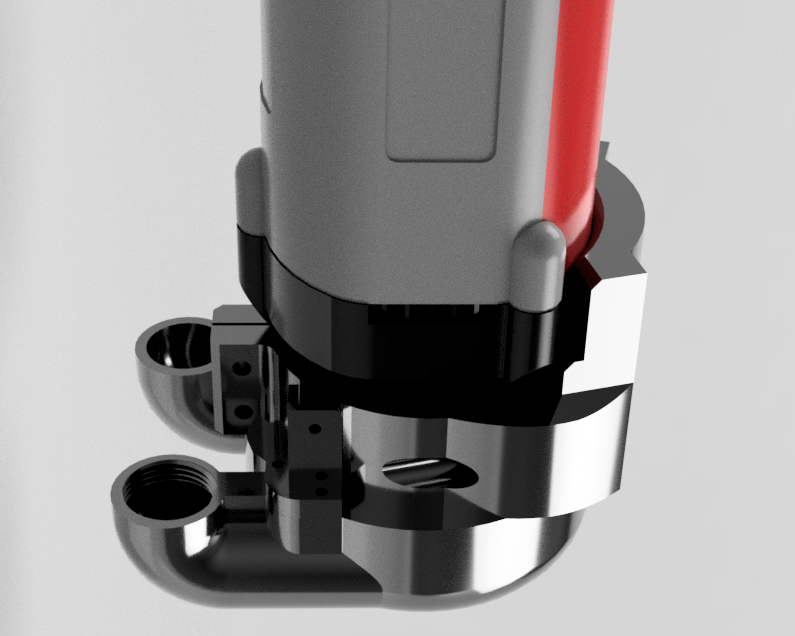 First render of the new tool holder with dust shoe, connected at the bottom. The goal was to stiffen the spindle for aluminum milling and the transition to a more comfortable suction system as I don´t like standing next to it for an hour. The clamp itself has already been printed and the vaccuum attachment is on its way. I will see how this turns out and if I need some kind of brush to bridge the gap to the workpiece or if the pure airflow is strong enough to keep the chips and dust under control. 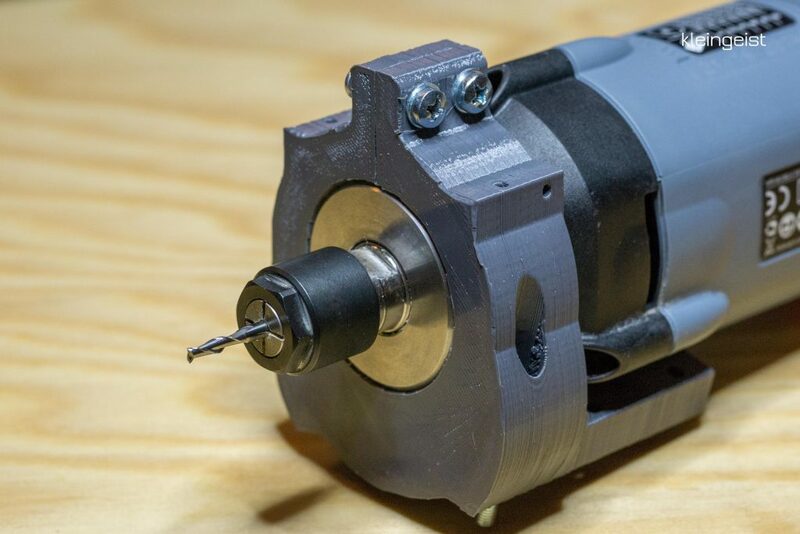 The spindle is closer to the gantry and sits firmly clamped by two M4 screws with washers and nylocks. Those are my preparations for the nex aluminum milling test runs and the upcoming bigger project that might cause lots of dust. 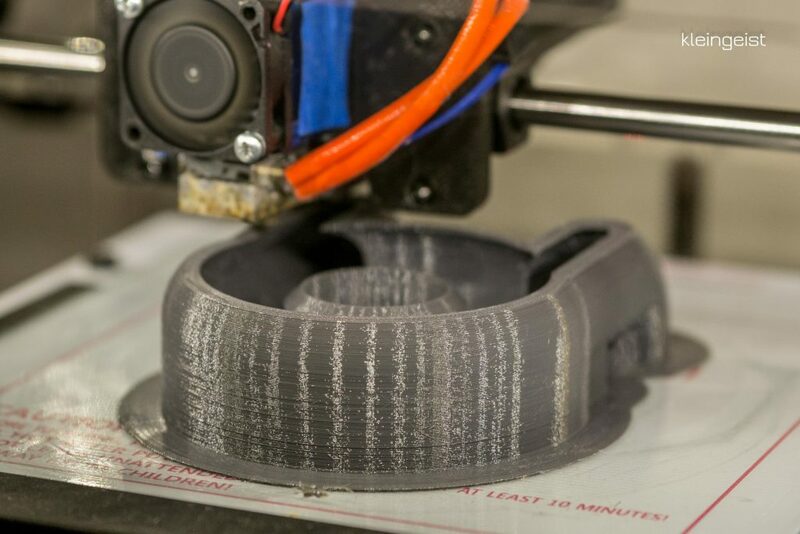 Dieser Eintrag wurde veröffentlicht in 3D Printing, Allgemein, MPCNC und verschlagwortet mit 3D printed, dust shoe, KRESS FME 800q, MPCNC, tool holder, WIP von bklronin. Permanenter Link zum Eintrag.